If you're working from an apartment, bedroom or home studio you might not be able to crank an amp to get the full tone of the amp & cab. That is where Impulse Responses come in! ☠️☠️Don’t wait to get skull crushing tones! Download this IR for free right now! This Impulse Response is part of the Glenn Fricker Impulse Response Pack. Lancaster Audio engineers industry leading music production software. Our guitar cabinet impulse responses have received critical acclaim and are featured in the studios and on the stages of top producers and recording artists worldwide. 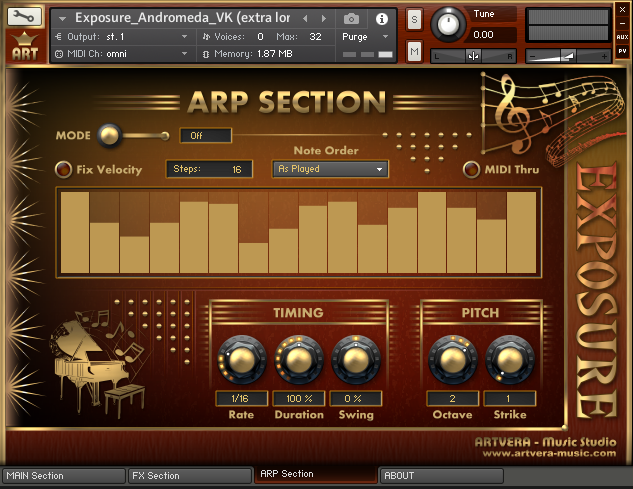 I use it from V1 and it is awesome to produce beats perfect balanced or odd tempos things. 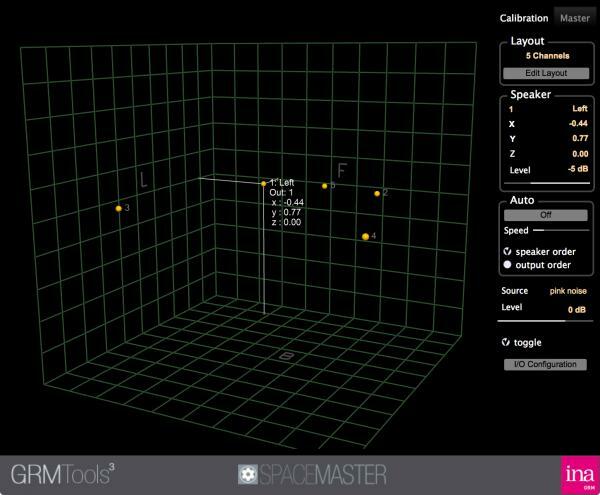 GRM Tools SpaceMaster and SpaceVR plugin and standalone utilities for Win and Mac are free at JRR Shop. That's the King Crimson Plugin. 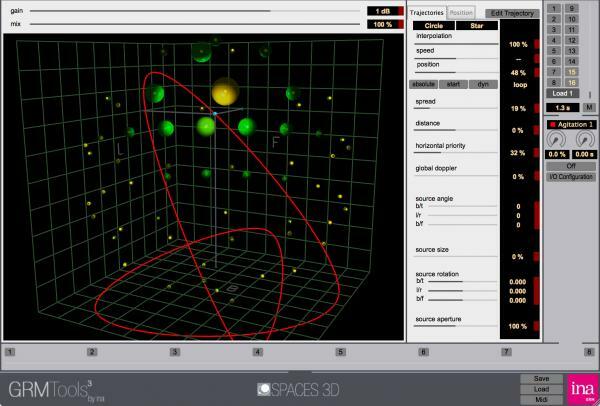 Back by popular demand comes a remastered version of the extremely popular Cheeze Machine virtual instrument byBig Tick Audio. An extra cheesy, extra saucy string box in the style of the original vintage string machines. Cheeze Machine 2 includes an expanded oscillator section, convolution reverb, a vintage ensemble chorus, and 64 bit compatibility for VST, AU, AAX and Standalone applications. 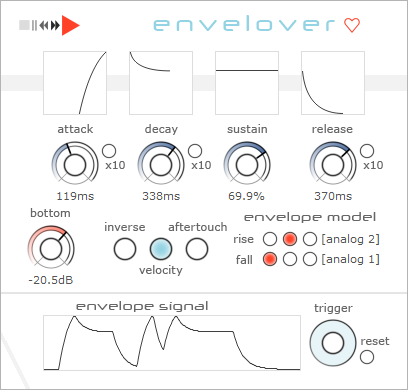 Check the user guide for more information on how to use EnveLover. MRatioMB lets you crossfade between main input and sidechain in up to 6 bands, splitted using frequency, level, stereo, transient/tonal and other crossovers. To download HoRNet StereoView please share this page using one of the buttons. After you have shared this page you will be able to add the plugin to your cart for free! This has probably been posted already, but I decided to re-post a bundled package to save anyone from searching for cool add-ons. 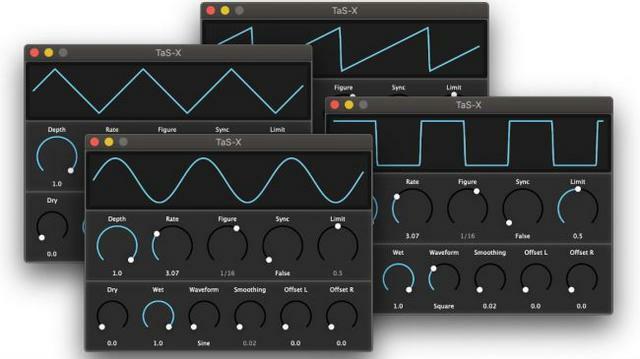 TyrellN6 is a compact, sporty synth. Based on concepts and ideas for a hardware synth: a few modules, novel features, and analogue sound. TyrellN6 is the software version manifestation of these ideas. 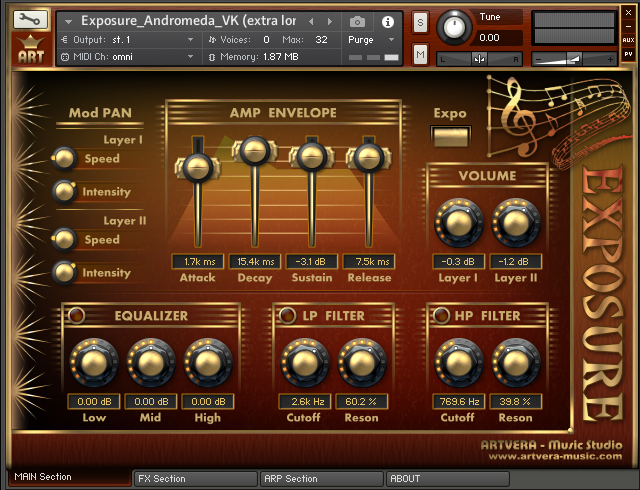 EXPOSURE - free sound library for NI Kontakt / Player version 5.2.1 or higher. This sound library is dedicated to a memory of Tim Conrardy (1957 - 2009). It is already 5 years since Tim passed away. Tim was a musician and excellent sound designer. He was interested also about astronomy. Sound library EXPOSURE is focused on this theme. Most of the samples in EXPOSURE were made with Golden ASET. 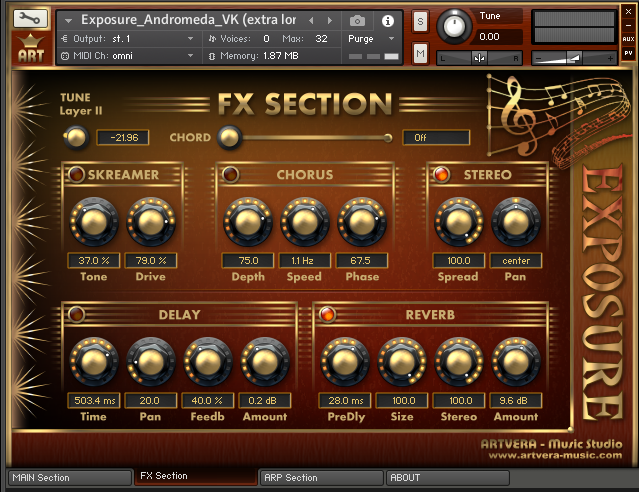 Some presets can be similar, because EXPOSURE uses two layers for combinations of samples and some samples are used in multiple presets. EXPOSURE offers sufficient possibilities to adjust any of its presets to your contentment. 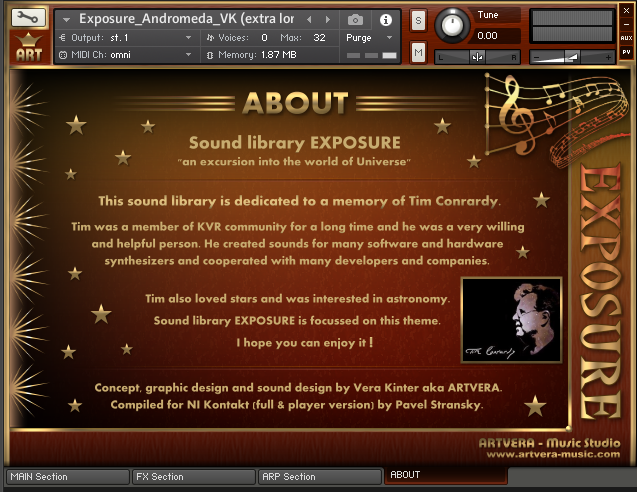 The overall number of presets (52) is symbolic - Tim was 52 years when he passed away. Damn, never knew Cheese Machine got a rework. Used it alot in older projects. Looking a bit more into this, I have to say I'm very impressed with what is available for free. For someone who's getting started, this is really more than enough to create really good tracks. I suppose it would take a long time for a newbie to hit a creative ceiling with what's available for free. i want to put my energy on my projects, i have seen also that the interaction in this forum or thread is very little, i hope a lot of people benefit from this tread. Good luck everybody! Go make some sweet music. Go yonder and seek your destiny of wild, exciting adventures, projects new and novel in a fantastical future that is waiting patiently to meet you, to greet you, to be you. Run naked, be wild, be FREE! Tim was 52 years when he passed away. This is not from me, just a copy paste. I'm actually tech guy. GroupDIY forum is my birth place. So, i made free plugin for them but i want to share it on other forums, too. Made preamp modeller. Included 10 preamp (mic and line). Almost finished but still working on it. Also if you like it and want to support this project, you can donate via this link. Possible to use Credit Card, Debit Card and Paypal. Every donation is just $10. If you want, you can donate more than one.